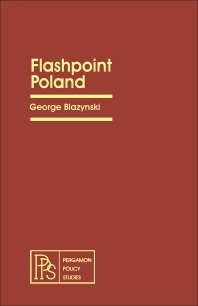 Flashpoint Poland details Poland’s situation during the 70s. The title examines how wartime and postwar events have contributed to the formation of the Poland’s attitudes and to the situation during Edward Gierek’s time. The text chronicles the various events during the 70s contemporary Poland, along the various diplomatic, social, and economic concerns. The book will be of great interest to political scientists, sociologists, economists, and historians.